It’s about that time. School, I mean, for those of you lucky smart enough to avoid summer term! We’ve started keeping bees now that we have land, but that’s a story for another long post, hopefully with pics that aren’t too gross. For today, just laughs, and of course, because it’s Texas and still August, more rain??? 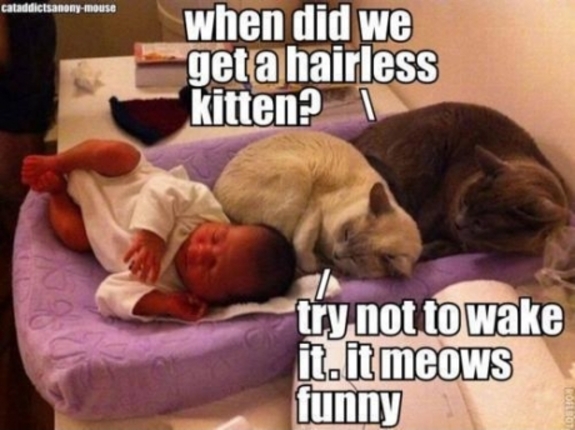 Hairless kitteh! Glad you are posting again!